Posted by erteltb on Thursday, June 26, 2014 in Crescendo, News. As the Blair School of Music celebrates its 50th anniversary, one who has been a steady presence since Blair’s days on 18th Avenue South will be saying goodbye. 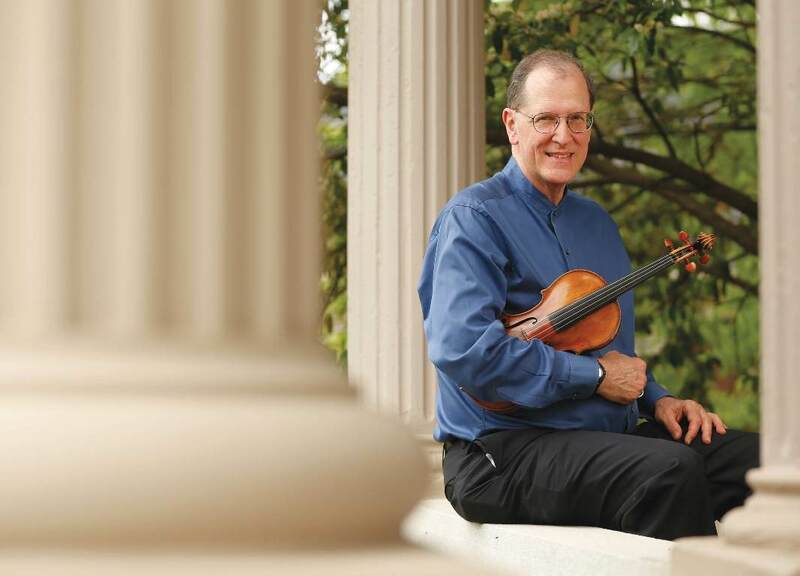 Christian Teal, Joseph Joachim Professor of Violin and member of the Blair String Quartet, will retire at the end of the academic year after forty-two years of teaching and performing. Teal came to Blair in 1972 when Stephen Clapp accepted a position at the University of Texas at Austin. It was Teal’s first full-time job. After finishing his military service with the Army Strings while simultaneously earning a master’s degree in music from Catholic University of America, he took Clapp’s teaching studio at the top of the stairs in the 18th Avenue South building. Playing was less of a stretch in the early days. 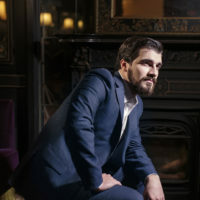 Teal, who describes himself as a late starter on violin, began playing the instrument at age 10 in his Richmond, Virginia, public school, but quickly progressed. At 13, he auditioned for the Richmond Symphony and played five seasons before starting college, becoming assistant principal second violinist, watching and absorbing everything while sitting in the middle of the front row. 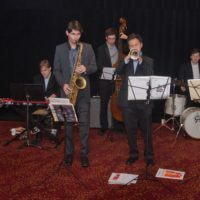 “When there were soloists like Isaac Stern who came to play with the orchestra, I really enjoyed being that close to them as they performed,” he says. He continued playing in larger ensembles—as concertmaster of the Catholic University Orchestra while in graduate school and during his time with the Army Strings playing state dinners and events for political dignitaries—but chamber music has been his true love. During his forty-two years with the Blair String Quartet, the group has played regionally and nationally, including concerts at the Kennedy Center and in New York City at Carnegie Hall, Merkin Concert Hall, and the 92nd Street Y. The more Teal performed, not surprisingly, the more performing informed his own teaching. What was a new experience in 1972 is now something at which he is an established master. 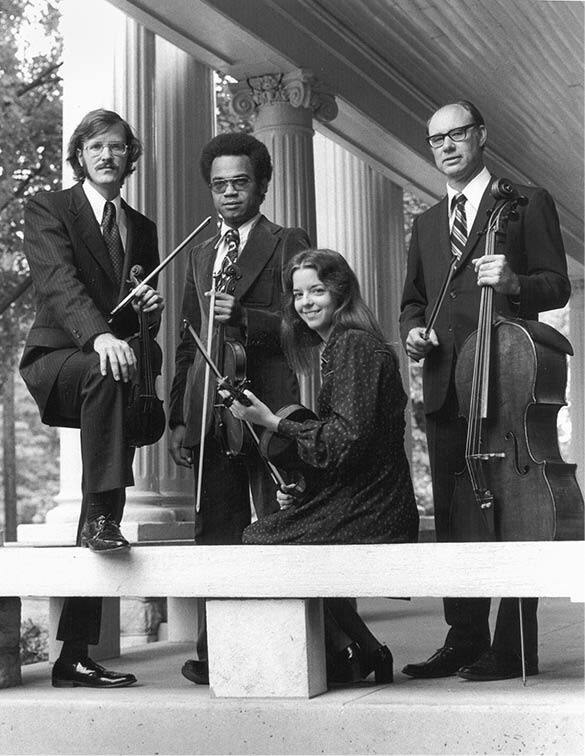 Teal learned from prestigious master teachers including Josef Gingold (concertmaster of the Cleveland Symphony under George Szell) at Indiana University during his undergraduate days and Dorothy DeLay (master teacher of violin at Juilliard), with whom he studied on weekends while completing his master’s degree. 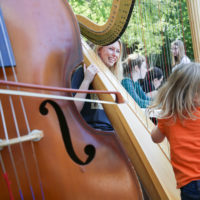 Teal’s expertise in playing and teaching, and his master teachers’ influence, have been passed down to students at Blair. “It is hard work, [playing in] the quartet and teaching—it’s not for sissies,” Teal says. 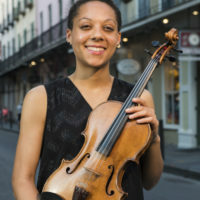 “One of the blessings of Blair is that the string faculty teaches college students, but also the most talented precollege students. 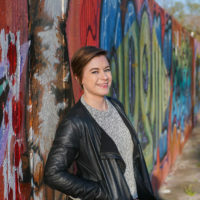 In terms of scheduling the day, you can teach some of your college students in the morning between their classes, but the precollege students have to be scheduled in the late afternoon [after school]. “The reward is truly great students who have gone on to great musical careers,” he says. Teal’s students remember his generosity with time and expertise, and many stay in touch long after they leave Blair. They and other Blair violin alumni also recently established an award named for Teal. As he prepares to settle in the Boston area, he already has been in touch with many former students who are eager to help him “integrate into the musical fabric of the area.” Teal insists that sense of generosity is present throughout Blair’s faculty and is part of what he will miss most.